DURACELL is an American manufacturer and distributor, as well as one of the most famous companies in the world, owned by Procter & Gamble, specialized in manufacturing of high-quality alkaline batteries, rechargeable batteries and battery chargers. DURACELL produces alkaline batteries in many common sizes, such as AAA, AA, C, D, and 9V. Less used sizes such as AAAA (primarily for pagers and monitors) and J size batteries (for hospital devices and photographic strobe flashes) are also produced by DURACELL, along with button batteries used in calculators, watches, hearing aids and other small mainly related medical devices. 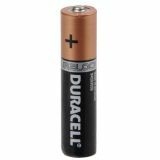 DURACELL also produces special batteries, including NiMH rechargeable batteries for cameras, watches, hearing aids, and has a line of lithium batteries. 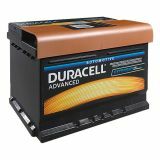 DURACELL brand has long traditions and guaranties the quality and the endurance of its products. VIKIWAT Ltd. offers a variety of lithium and alkaline batteries DURACELL for household and professional use. In our stores, you can find a wide range of specialized alkaline batteries, ProCell line batteries, powerful disposable batteries, flat and button batteries and many other at attractive prices and fast delivery. Battery LR14, C, 1.5VDC Duracell INDUSTRIAL battery type C (LR14) with voltage 1.5 VDC and dimensions 26x50 mm. Battery DR13 (675), 1.4V, 290mAh Battery DA13N6 with voltage 1.4 V for hearing aid. 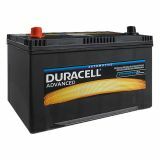 Car battery, 44AH, starter, 12VDC, right +, DURACELL DA 44 The Duracell Starter Starter batteries are used for cars and provide a guaranteed vehicle startup. The battery of the series can also be used for diesel and gasoline. According to the different accumulators the Ah is determined, size, vehicle compatibility and prices. 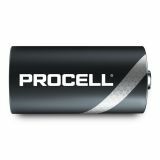 Battery 6LR61, 9VDC Powerful alkaline battery DURACELL PROCELL 6LR61 analogue to 6F22 single use. The 9 volt battery is the perfect choice for intensive use. Alkaline Battery LR6 AA 1.5VDC Powerful disposable batteries DURACELL PLUS MN1500 AA for universal applications. Those batteries are the perfect choice for intensive use and are extremely durable. 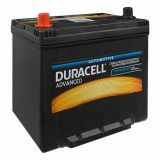 Car battery, 45AH, starter, 12VDC, left +, DURACELL DA 45L The Duracell Starter Starter batteries are used for cars and provide a guaranteed vehicle startup. The battery of the series can also be used for diesel and gasoline. According to the different accumulators the Ah is determined, size, vehicle compatibility and prices. 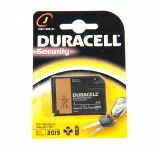 Car battery, 60Ah, starter, 12VDC, DURACELL DA 60T The Duracell Starter Starter batteries are used for cars and provide a guaranteed vehicle startup. The battery of the series can also be used for diesel and gasoline. According to the different accumulators the Ah is determined, size, vehicle compatibility and prices. 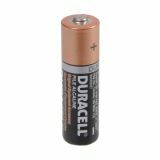 Battery MN21, 12VDC, 33mAh Special alkaline battery DURACELL MN21 (A23) for toy, electronic games, calculators, remote controls for cars and other electronic devices. 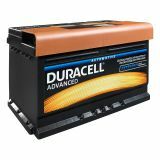 Car battery, 60AH, starter, 12VDC, left +, DURACELL DA 60L The Duracell Starter Starter batteries are used for cars and provide a guaranteed vehicle startup. The battery of the series can also be used for diesel and gasoline. According to the different accumulators the Ah is determined, size, vehicle compatibility and prices. Alkaline Battery LR6, 1.5V, AA Reinforced alkaline battery for professional use LR6 voltage 1.5 V.
Battery MN27, alkaline, 12VDC, 18mAh Special alkaline battery DURACELL MN27 (A27) suitable for remote controls, calculators and car remotes. List Price 4.20лв. VAT Incl. 3.98лв. VAT Incl. Car battery, 70AH, starter, 12VDC, left +, DURACELL DA 70L The Duracell Starter Starter batteries are used for cars and provide a guaranteed vehicle startup. The battery of the series can also be used for diesel and gasoline. According to the different accumulators the Ah is determined, size, vehicle compatibility and prices. Car battery, 74AH, starter, 12VDC, right +, DURACELL DA 74 The Duracell Starter Starter batteries are used for cars and provide a guaranteed vehicle startup. The battery of the series can also be used for diesel and gasoline. According to the different accumulators the Ah is determined, size, vehicle compatibility and prices. Car battery, 95Ah, starter, 12VDC, DURACELL DA 95H The Duracell Starter Starter batteries are used for cars and provide a guaranteed vehicle startup. The battery of the series can also be used for diesel and gasoline. According to the different accumulators the Ah is determined, size, vehicle compatibility and prices. Car battery, 95AH, starter, 12VDC, left +, DURACELL DA 95L The Duracell Starter Starter batteries are used for cars and provide a guaranteed vehicle startup. The battery of the series can also be used for diesel and gasoline. According to the different accumulators the Ah is determined, size, vehicle compatibility and prices.